Megan Danforth and Cyrise Beatty Schachter, two women with a passion for communal music-making, are bringing the soulful flavors of world music to the Rogue Valley. Together they helm the Rogue World Ensemble, Ashland’s newest choral group, a 30-voice ensemble specializing in traditional songs from villages around the globe. 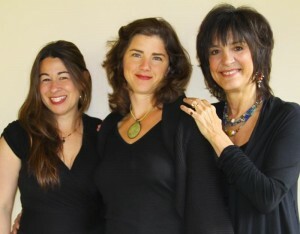 They can also be found singing with Rusalka, a trio of women that performs Eastern European music. In the varied flower garden of choirs that have sprung up in this artistically fertile valley, the Rogue World Ensemble is a flower of a wilder, more exotic strain, featuring complex harmonies and rhythms unlike those we are used to in the west. The music ranges from haunting a capella Balkan chants and Appalachian folksongs to rousing gospel and African numbers with drumming and dancing. By celebrating music as it is created and performed in traditional cultural settings, the Rogue World Ensemble emphasizes the link between music and community. 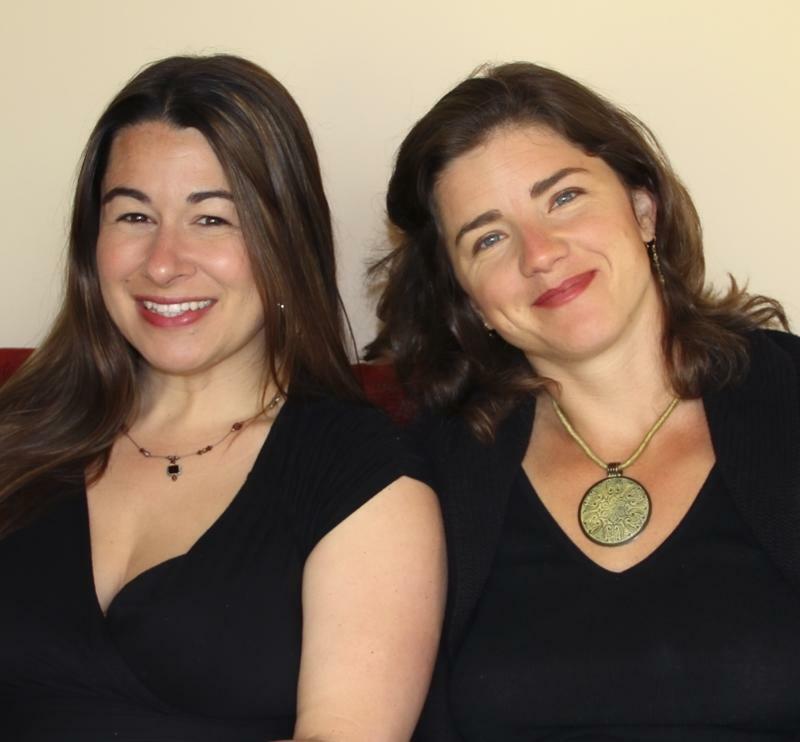 With Cyrise leading the group as artistic director and Megan as executive director, the Rogue World Ensemble is entering into its second spring concert season. I asked Cyrise and Megan to share some of their personal experiences that have inspired the work they are doing. How did you discover your passion for world music? Megan: My father, a music major at Wesleyan, and my mother enveloped my brother and I in a wonderful tapestry of music throughout our lives. My ear was primed for loving exotic harmonies and interesting rhythms. I didn’t start falling in love until I joined a world music chorus called The River Singers in Vermont. Then I went head over heels at a Village Harmony camp where for 10 days we sang Georgian, Corsican, South African, Shapenote, Appalachian, and gospel. Since then I’ve been a Village Harmony devotee, doing everything I can to further this organization’s influence on the West coast. My primary focus is on Eastern Europe, especially Georgia. I am drawn to the region on many levels; enchanted by their haunting and dissonant harmonies (which are incredible to feel in the body when you sing them) and filled up by the cultural integrity of spirituality, food, dance, music, and family that I feel is largely missing in our fragmented American culture. Cyrise: I have been a Cantorial Soloist/Chantmaster for the past 11 years, most recently with the community of Havurah Shir Hadash in Ashland. Immersion in the musics of the Middle East, and its partnerships with musics of Eastern Europe, have been a part of my focus and learning along the way. This has opened my ears to the unique scales and harmonies these regions employ, which are not always familiar to the Western ear. I was also a member of Ya Elah, a 6 member women’s vocal ensemble, for 10 years under the direction of Bon Singer, one of the foremost experts on Balkan music in the United States. She was an incredible mentor to me. Tell me about your musical background/education. Cyrise: I have played voice and piano since childhood. I studied voice, music theory, and ethnomusicology in college but went on to receive my Master of Arts in poetry and creative writing. Later I turned in the direction of developing my singer-songwriter self and performing around the Bay Area. All along the way, I have been teaching voice and piano and leading community choirs. It gives me such incredible joy to be a part of helping people connect to and express their authentic musical selves. Megan: I grew up singing American folk styles alongside my father. I never considered pursuing music beyond a hobby until a few years ago. I had every intention of creating a private yoga therapy practice in Ashland, until my choral mentor urged me to start a world music chorus here, and my husband thoroughly supported the idea. Since taking this turn in the road, my hair has been on fire–my soul too! How do you see the role of music in community? Cyrise: Essential! Sometimes I think we’d all be better off if we talked less and sang more! Expressing ourselves through melody and rhythm goes back to all of our ancestries…and it just plain feels good!! If I had a magic wand it would erase the doubt people have in their abilities to create and be creative. Megan: I feel music is the root healer for our world. When there is no food, no water, no shelter, there is still music. It is truly what keeps the soul alive. What is your most memorable experience involving communal music? Megan: When I was in Georgia, we learned sacred chants that had nearly been lost during the Soviet occupation. Inside a candle-lit monastery where preparations had been made to properly receive the arrival of the Archbishop of Georgia, we stood shoulder to shoulder listening to his private choir sing some of these chants. This experience was beyond words, recalling a sense of ancient humanity and common spirituality. Cyrise: I taught in the same town for so long that students who came to me when they were 7 years old would perform year after year until they graduated high school. I was really affected by watching them develop their love for and sensitivity to music as they grew. I also love conducting choirs in performance. Everyone is so focused and really singing with all their heart and spirit. Standing in front of that wall of presence in sound is really something! I can’t keep from smiling just thinking about it. What is your long-term vision for the Rogue World Ensemble? Megan: I envision Rogue World Ensemble becoming a catalyst for joy, healing, and connection on many levels. For our singers, I want to fan the flames of their love and appreciation for world folk traditions. Tuition support is available so that they may travel to study and deepen into their relationship with world music. I want to create collaborative relationships with local organizations and efforts so that our music benefits in multiple ways. What else is making you happy these days? Cyrise: Well, I am married to the love of my life, Stefan Schachter, and we have a marvelous 7 month old son, Jonah James. The three of us are traveling the yellow brick road of early parenthood with great humor and tremendous love. I am enjoying working with Megan and the Rogue World Ensemble, planting my spring garden, and seeing the lilacs around town getting ready to bloom! Megan: As I write this, I am gazing out at the morning light falling on the red cliffs of Castle Valley in Utah. What always makes me happy is spending time in the wilderness with my husband and my son. How can people find out more about the Rogue World Ensemble? Megan: Go to www.rogueworldensemble.org to find out about us. Send us an email if you’d like to be on our mailing list. Our Solstice Concert is June 18th at the Unitarian Universalist church. You’ll want to buy your tickets early because we sold out last time and had folks standing in the lobby! Auditions are ongoing. Contact Cyrise at cyrisesong@gmail.com to schedule one. We are primarily looking for men and soloists.